A denture is a prosthetic device that replaces missing teeth. A denture is usually removable, but may be fixed in place or supported by dental implants. It may replace just one tooth, several, or a whole arch. The basic concept isn’t new – the Etruscan culture made dentures from human and animal teeth way back in 500 BC. However, technologies to make dentures more comfortable, functional, and aesthetic have come a long way. I am Dr. Scott Stewart and I love seeing how the right denture improves quality of life for my patients. Those visits often start with a hesitant question like, “Why do I have to replace missing teeth?” You may feel that you are getting along fine with gaps or an ill-fitting denture, but the impact could be more significant than you realize. Even a single missing tooth allows its companions to shift out of position. That causes accelerated wear. A delicate balance must be maintained for the mouth to work well and comfortably. Missing and misaligned teeth cause stress on the joint, leading to TMJ disorders, jaw pain, and headaches. Crooked teeth are difficult to keep clean. The crevices created by overlaps and gaps are food traps that lead to tooth decay and gum disease. Those conditions contribute to more tooth loss if not properly addressed. Strong jawbone supports mouth function and aesthetics. Missing teeth allow resorption to occur. Without tooth roots to stimulate bone regeneration each time you bite down, you lose bone structure, which eventually results in a caved in facial appearance. Eating is one of life’s great joys! Without a full set of teeth, you cannot bite, crunch, and grind the foods that nourish your body and soul. The emotional impact of missing teeth shouldn’t be discounted. Gaps and poorly fitted dentures cause patients to resist smiling, speaking, and laughing – essential elements of a happy life. Now you know some of the reasons a denture is important. I work with the top dental laboratories in the country to deliver denture options that look stunning and natural, with a comfortable fit. These aren’t the clumsy false teeth of your grandparents’ era. With lightweight materials and amazing new technologies, our dentures can actually fill out facial features and allow a level of functional stability you never dreamed possible. If you are missing teeth or considering extractions, call my South Lakewood Dental office today at (855) 233-0023 to set up a consultation. 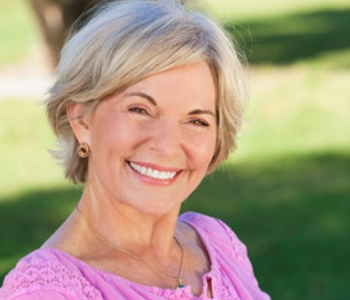 I can’t wait to show you how the right denture can change your outlook on life!